If you are not completely satisfied with your Lolë purchase, you are welcome to return it within 30 days of the billing date as long as you have not worn it or altered it and the tags are still attached..
For swimwear, the protective lining sticker is required for return or exchange. Please note that underwear from our Seamless collection may not be returned or exchanged. 1. Place the item(s) back in its original packaging with all tags. .
3. Close and seal the package, stick the UPS pre-paid* return label provided with your order and drop off the package at a UPS store near you. It is possible to exchange an item for a different size or color of the same style. If the item you would like to exchange is no longer available at the same price or was purchased using a gift card, please contact customer service at +33 5 47 20 80 03 (France) before attempting to return, and we will provide you with a return authorization number. If the item you would like to exchange is still available at the same price, simply place a new online order and return the original item for a full refund by following the procedure above. You will receive your new item much faster. You may return or exchange an online order in person at one of our Lolë Ateliers within 30 days of the billing date. Simply bring with you the electronic invoice you received by email as well as the packing slip included in the package. 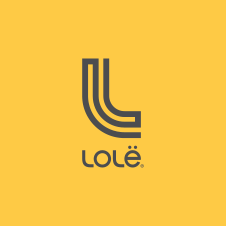 Lolë will offer an exchange, refund (on the credit card used to make the original purchase) or gift card for the original purchase price. If your item was bought on sale or with a promotional code, only a gift card will be offered.